After World War ][ there was a tremendous amount of engineering and manufacturing talent combined with a huge demand for new vehicles. 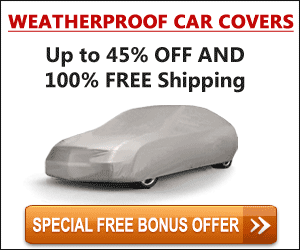 While Detroit automakers were busy converting their production lines back to building vehicles, a number of others thought they had a better idea. 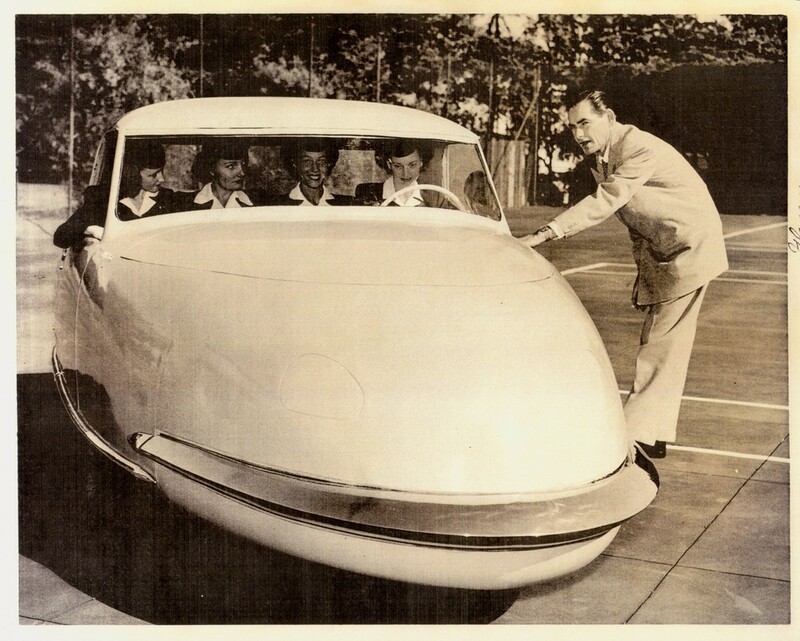 The Davis Divan three-wheeler could, supposedly, seat four across comfortably. 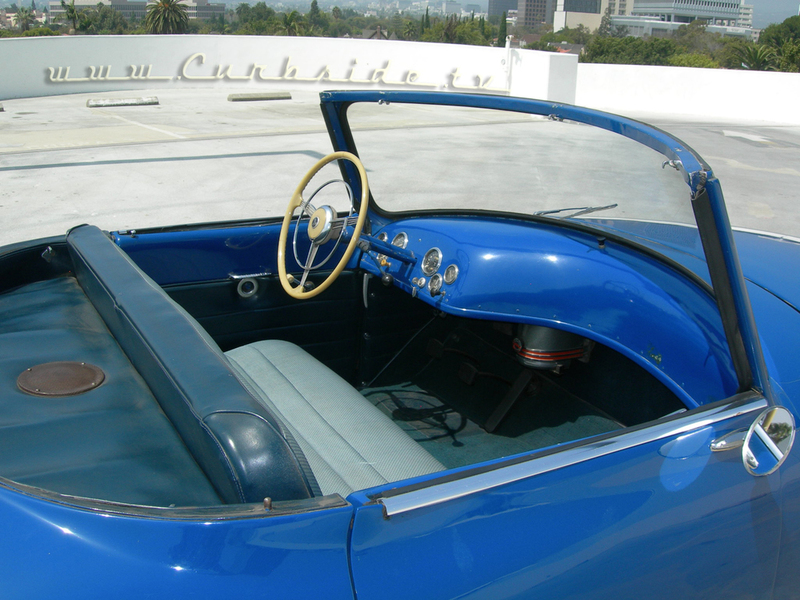 In post-war Los Angeles, movie-car broker Gary Davis set out to do something different. 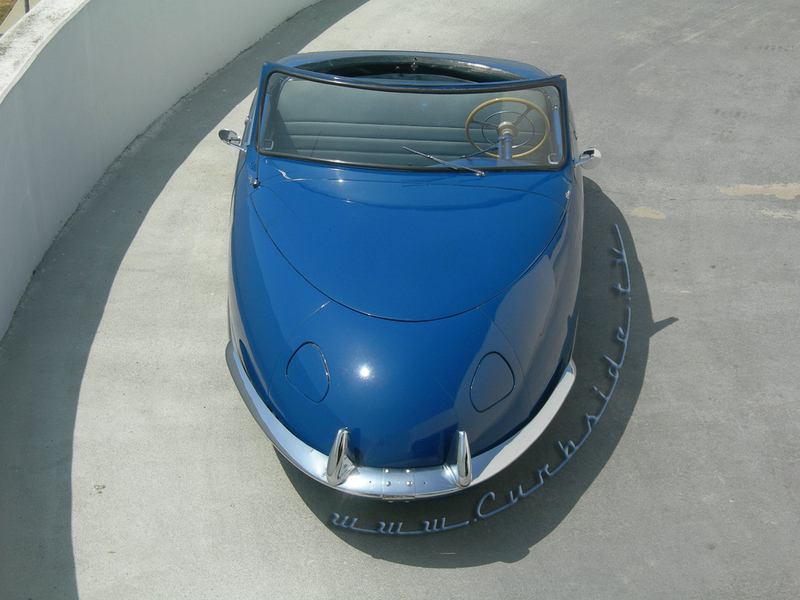 The seventeen cars that his company built from 1947-1948 stand out even today as being unlike anything else. 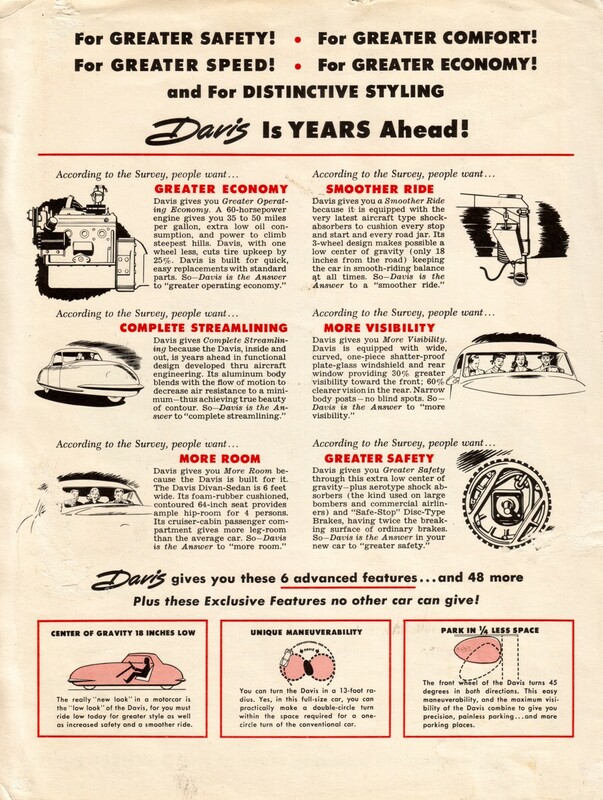 Davis’ vision was to build a three-wheeled car using the tremendous aircraft technology available in Los Angeles and mass market this efficient and, to some, revolutionary machine. The Davis Divan was actually produced in very small numbers but its story is surrounded by intrigue. 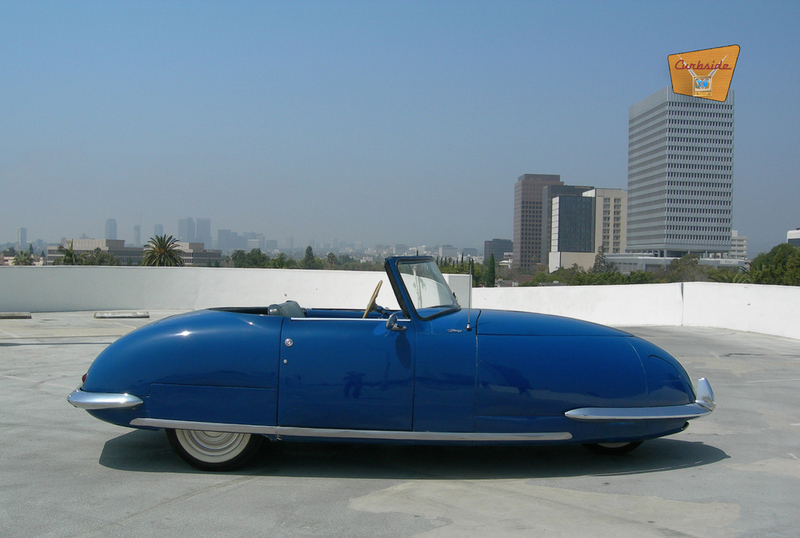 The Petersen Automotive Museum owns car number four, one of the few remaining operable Divans, and has launched a crowdfunding campaign to restore its Davis to museum-quality condition. 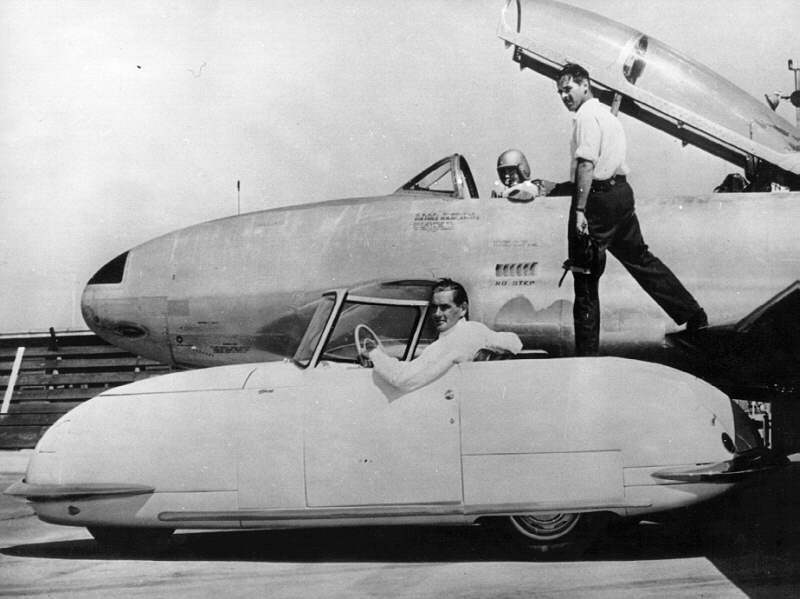 The Divan is rooted in a prototype car called “The Californian,” built by Frank Kurtis (best known for his Kurtis Kraft Indy race cars) for millionaire race car driver Joel Thorne. 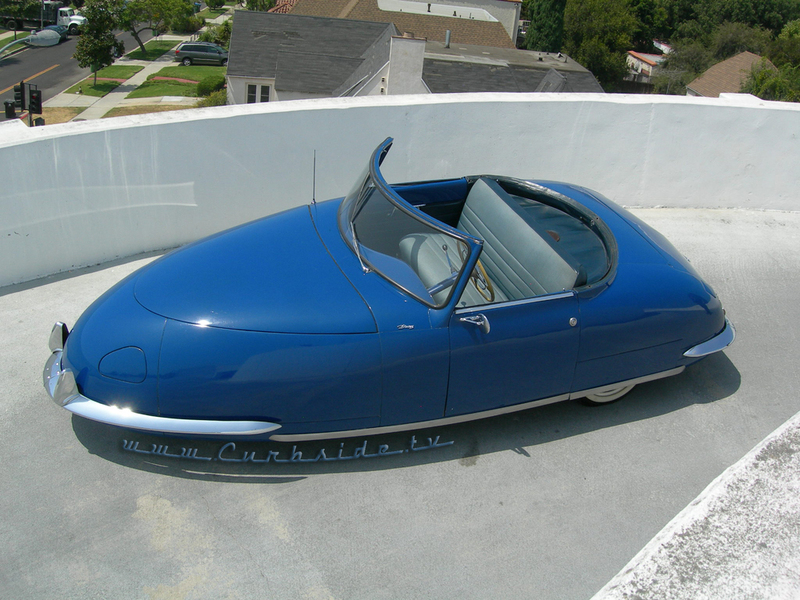 Gary Davis purchased “The Californian” and used it as the model for the Davis Divan. His assembly line was in a hanger at the Van Nuys Airport (coincidentally, also the eventual home of Petersen Aviation). 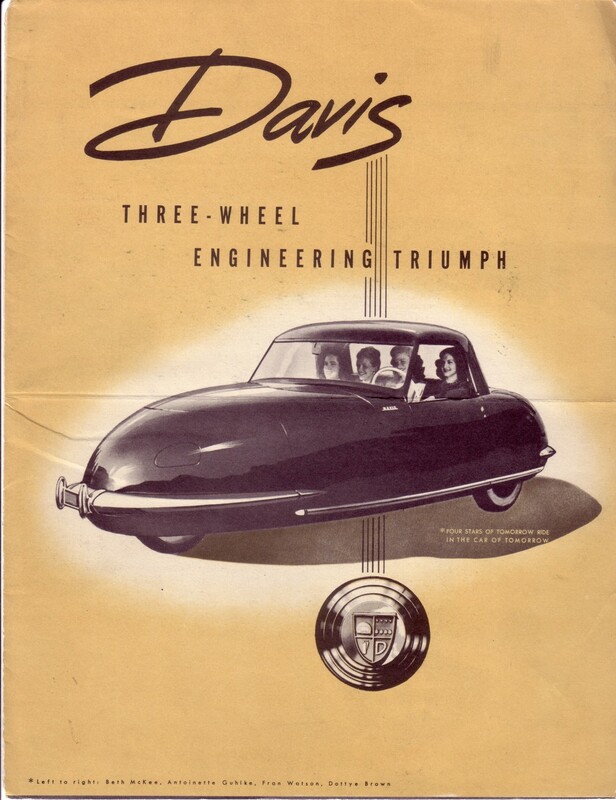 The Divan featured either a 47-hp Hercules industrial four-cylinder engine or a Continental power plant. The gear train consists of a Borg-Warner 3-speed manual transmission and a Spicer differential. 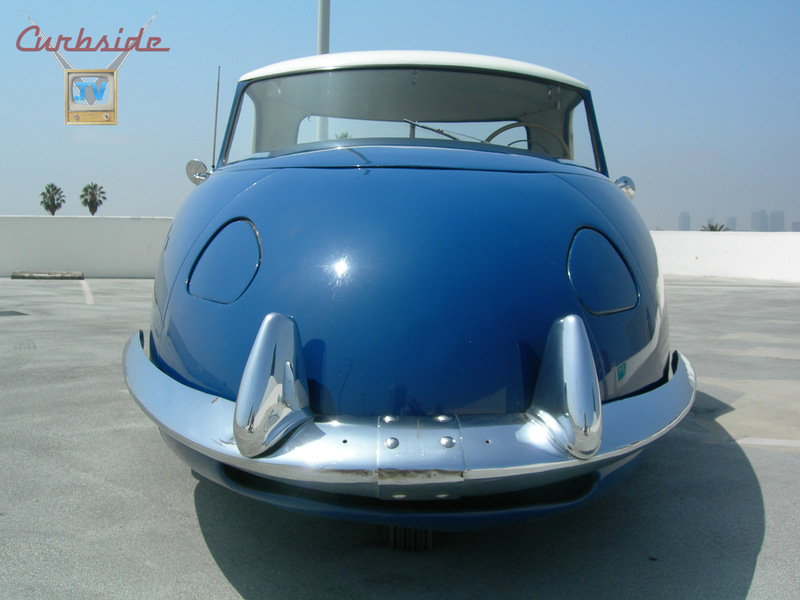 The Divan’s body was formed aircraft-style out of aluminum and featured disappearing headlights. 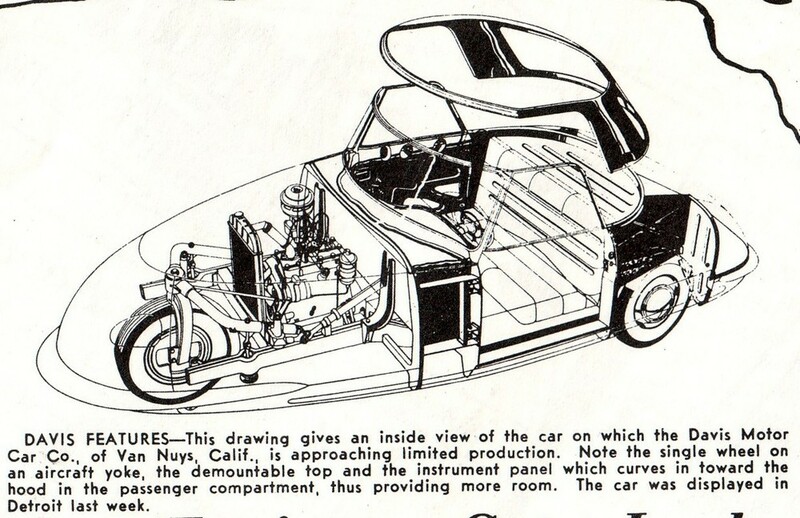 The car even had built-in jacks at each corner to facilitate tire changes. Passengers, rather quirkily, sat as many as four across on a single bench seat. Unpaid employees and broken promises culminated with Gary Davis’s conviction on theft charges. The company’s assets were liquidated to pay back taxes. Creditors unsuccessfully attempted to have Reliant manufacture the Divan alongside that company’s three-wheeled Robin. 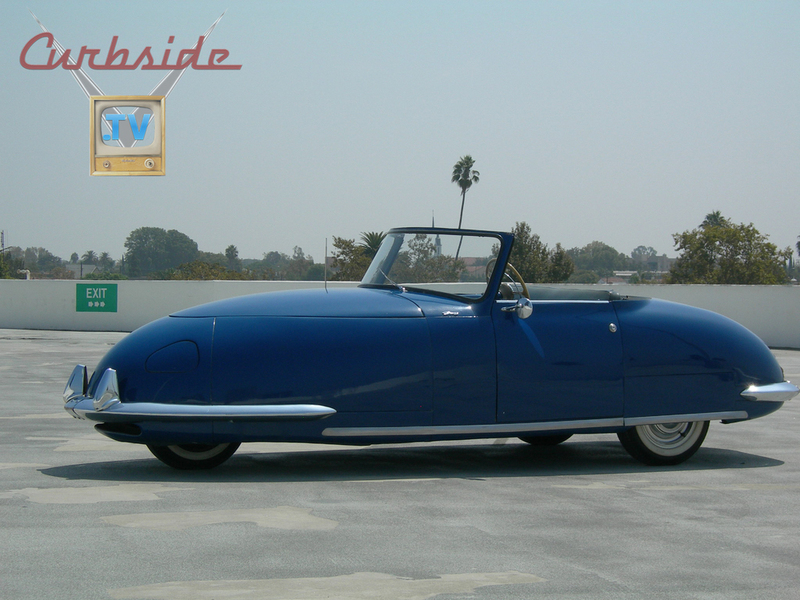 The Petersen’s Davis Divan was the last to feature the industrial Hercules motor. The car spent the majority of its life in Colorado mounted on a pole outside a body shop. 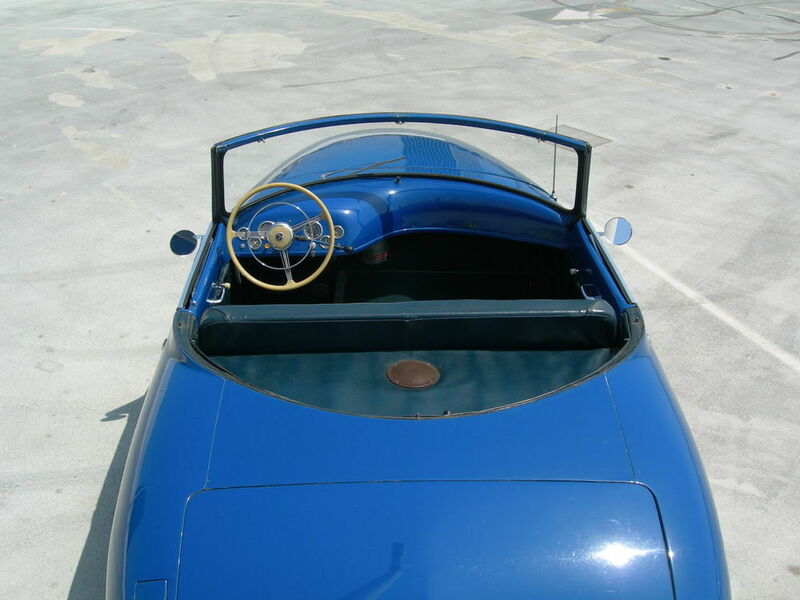 As part of the museum’s mission to preserve automotive history in Southern California and beyond, The Petersen acquired the rare Los Angeles-built car and got it running. However, the Petersen’s Davis is far from museum-quality. Its engine and suspension need to be totally rebuilt. 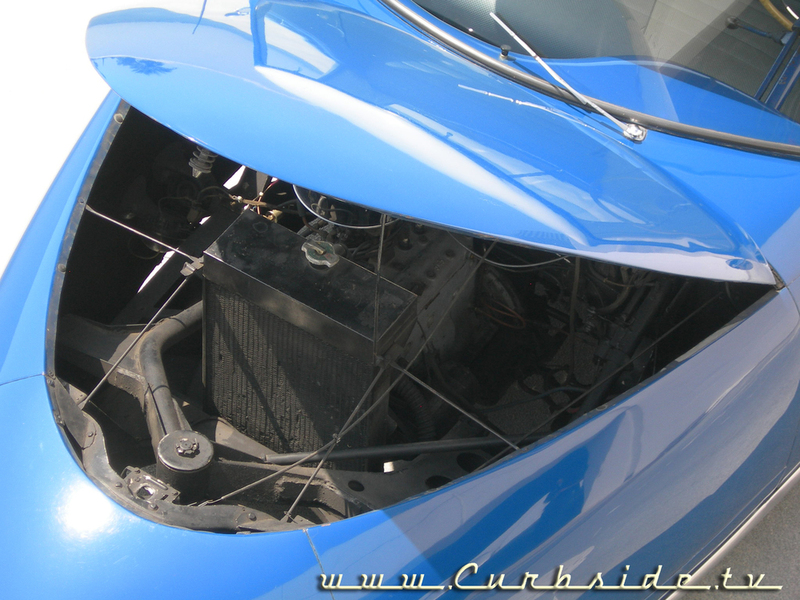 Also, the interior needs to be replaced; its current blue paint isn’t the original color and is flaking away. Because replacement parts are rare to non-existent, the Divan restoration will be labor-intensive. 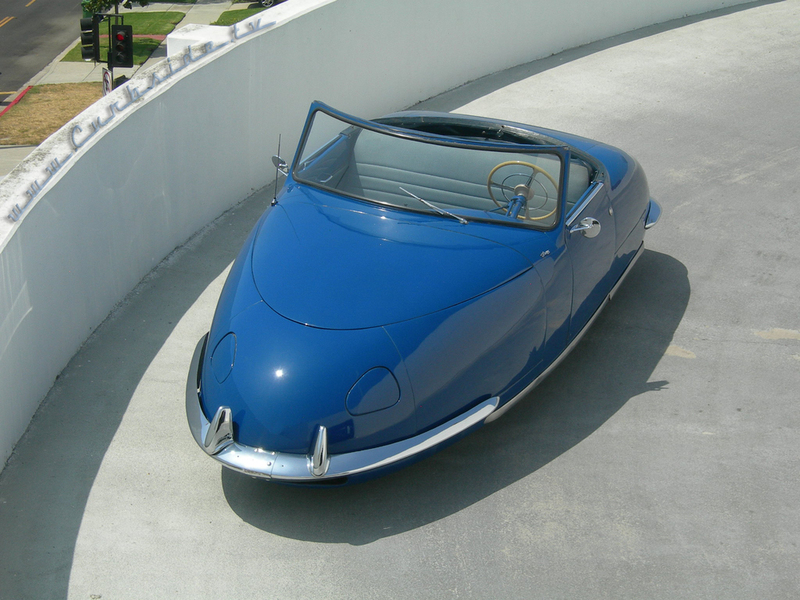 The Petersen has launched a crowdfunding campaign to fund the project and hopes to drive awareness to this car’s unique history. This Indiegogo project was launched to raise the $30,000 necessary to restore the Davis Divan. The ultimate goal is to have the Davis fully restored to near-new condition by the museum’s grand reopening in December 2015. The car will receive a prominent position in the “Innovation” section of The New Petersen, on the second floor. The museum has undertaken several restorations in the past, but crowdfunding represents a new approach to historical-vehicle preservation.